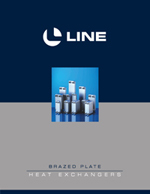 Designed for maximum performance, the L-Line heat exchanger’s compact, rugged assembly is composed of stainless steel plate packs sealed together by means of brazing metal along the border of the units. 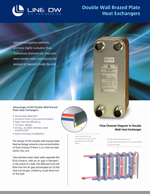 This eliminates the need for traditional gaskets or external pressure retaining parts. 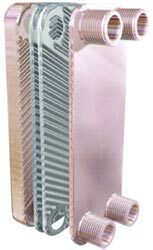 The plate packs are embossed with special corrugation patterns to promote high turbulance flow, which dramatically increases the heat transfer rates of the units thus making them a highly economical and effective solution for many process and heating applications.